Moisturize your mane with coconut, argan and rosemary to condition, replenish and repair dry, damaged hair. 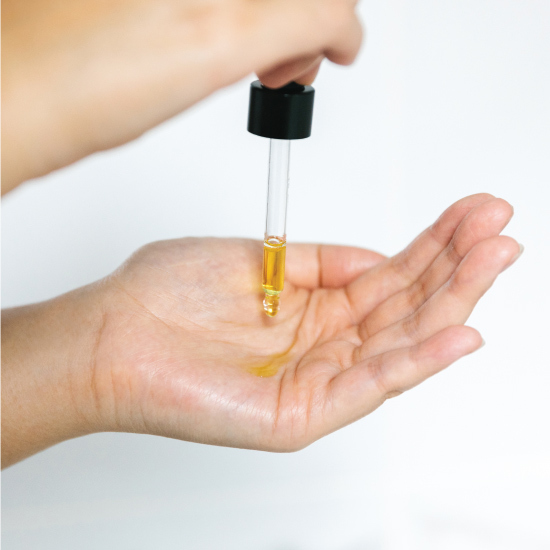 Add 1-2 drops into hands, rub palms together and work into the ends of dry or damp hair. This treatment also acts as a heat protectant, reduces frizziness and prevents breakage. A little goes a long way; this nourishing blend is ideal for thick or curly hair types. 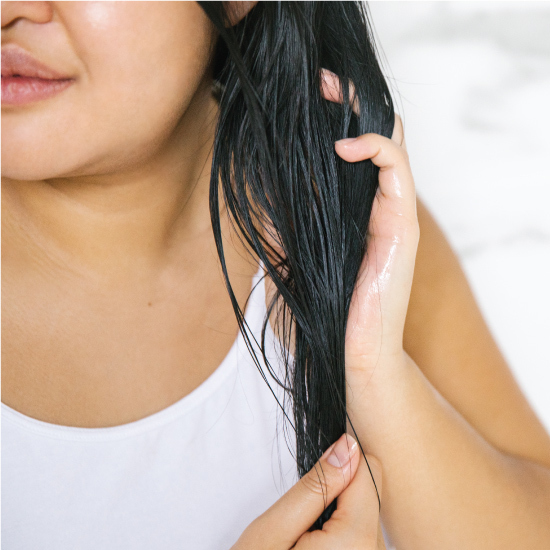 Add 1-2 drops into hands, rub palms together and work into the ends of dry or damp hair. Wipe off bottle neck and rim after use to prevent buildup. Brings deep hydration to the hair while encouraging a radiant glow. Rich with vitamins and antioxidants; deeply nourishing for dry, damaged hair. Rich in vitamins, antioxidants and omega fatty acids, these oils hydrate the hair and protect from further damage, without causing buildup. Think of them as superfoods for your hair – leaving it soft, smooth, moisturized and nourished. Add 1-2 drops into hands, rub palms together and work into the ends of your dry or damp hair. For added benefit – and to give your mane extra hydration – apply a few drops directly to the scalp and massage in before washing your hair. 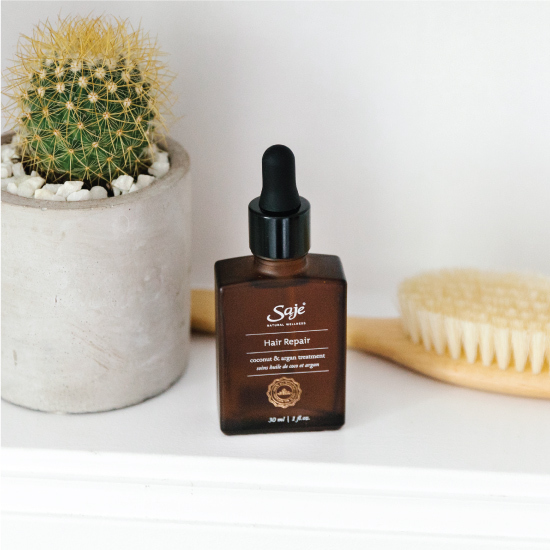 #SajeTip: This nourishing blend also works well on men’s facial hair, giving it a healthy glow. Every ingredient we use is clearly listed on our labels — no synthetics, no silicones: just nature. Hair Repair is 100% natural, vegan, plant-based and contains no fillers, toxins, synthetic fragrances, parabens or dyes.